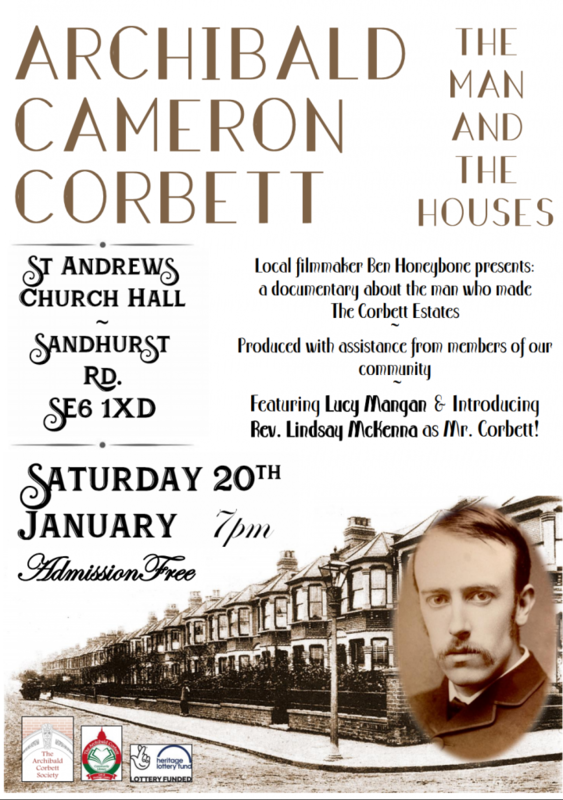 We’re delighted to invite you to a very special screening of our new film, Archibald Cameron Corbett: The Man and The Houses. This new documentary, made by local filmmaker Ben Honeybone with the help of the local community, takes a look at the history of the Corbett Estate and the man himself. The film features journalist Lucy Mangan, who grew up on the Corbett Estate and has written an ode to Torridon Library. It also stars St Andrew’s Church’s very own Reverend Lindsay McKenna as Mr Corbett himself. Don’t miss the screening of the film on Saturday 20th January at 7pm in St Andrews Church Hall, Sandhurst Rd, SE6 1XD. See you there! ← Do You Want To Save Sedgehill School From Becoming An Academy?